JOSEPH MALLORD WILLIAM TURNER was born on Maiden Lane in Covent Garden, London, in 1775 (the actual day is uncertain, but Turner maintained it was Saint George's Day, 23 April), the only son of William Turner and Mary Marshall. His mother, who was mentally unstable, was committed to Bethlem asylum for the insane in 1800, and died in 1804. During his only sister's fatal illness (she died in 1786) Turner was sent to live with his mother's brother in Brentford and attended Brentford Free School; this was his only formal education. His early artistic talent was encouraged by his father, who exhibited his drawings in his shop window (the father remained a devoted supporter and, later, was his son's studio assistant and general factotum until his death in 1829). In 1789, the year of his first extant sketchbook from nature, Turner entered the Royal Academy Schools, also working at about this time in the studio of the architectural draftsman and topographer Thomas Malton. He exhibited his first watercolor at the Royal Academy in 1790 and his first oil in 1796; thereafter he exhibited nearly every year until a year before his death. He stayed with his father's friend, John Narraway, in Bristol in 1791, and from then on until the end of the Napoleonic Wars made frequent summer sketching tours in various parts of Britain. In 1794 he published his first two engravings, and in 1798 began drawings for The Oxford Almanack. Probably beginning in 1794 he worked for three years at Dr. Monro's evening "academy" in the company of Thomas Girtin, Edward Dayes, and others. Turner's precocity led to his election as an Associate of the Royal Academy in 1799, and to full Academicianship in 1802. He revered the Academy all his life, was assiduous as a member of the council and hanging committee and as auditor of the accounts, and was proud to be appointed its professor of perspective in 1807, from 1811 until 1828 giving lectures that ranged widely over the problems of landscape painting. He moved from Maiden Lane to lodgings on Harley Street in 1799, opening his own gallery in contiguous premises on Queen Anne Street in 1804; this he enlarged between 1819 and 1822. In 1805 he took a house at Isleworth, keeping a second home on the riverside at intervals for the rest of his life (Upper Mall, Hammersmith, from 1806 to 1811; Sandycombe Lodge, Twickenham, from 1813 to about 1825; Cheyne Walk, from about 1846 onward). Turner made his first journey abroad in 1802, traveling through France to Switzerland, and studying in the Louvre on his return. In 1817 he visited the Low Countries and subsequently traveled more frequently on the Continent (until 1845), less frequently in the British Isles (until 1831). Between 1819 and 1820 he paid his first visit to Italy, staying principally in Venice and Rome; he revisited Venice in 1833, 1835 (probably), and 1840. He worked continuously for the publishers of illustrated books; his illustrations appeared at intervals between 1827 and 1835. Turner made his reputation as a topographical watercolorist, sketching from nature, mainly in pencil, the sketches serving as a repository of ideas of which he might make use months or even years afterward. He was determined to raise landscape painting to the level of ideal art, closer in the hierarchy of genres to history painting, and he experimented first in watercolor then in oils with many new techniques. For some twenty years, from about 1798, he maintained a liaison with Sarah Danby, with whom he had two daughters, but he never married. In old age, following the death of his father and close friends, he became increasingly pessimistic and morose, allowed the house and picture gallery on Queen Anne Street to become dilapidated, and finally lived largely in his cottage on Cheyne Walk, cared for by his housekeeper, Mrs. Booth. There he died on 19 December 1851. He was buried in Saint Paul's Cathedral, London. J.M.W. Turner, Ehrenbreitstein, 1835. Estimate: £15-25 million (US$18.7-31.2m / €17.3-28.9m). Photo: Sotheby's. Often referred to as the ‘painter of light’, Turner is widely regarded as Britain’s foremost artist, whose unique and unprecedented style not only had a profound and lasting impact on British art, but was also a vital precursor to both the Impressionist and the much later Abstract Expressionist movements. (Monet openly acknowledged his indebtedness to Turner.) Major works of such astounding quality by Turner are rare on the international market. 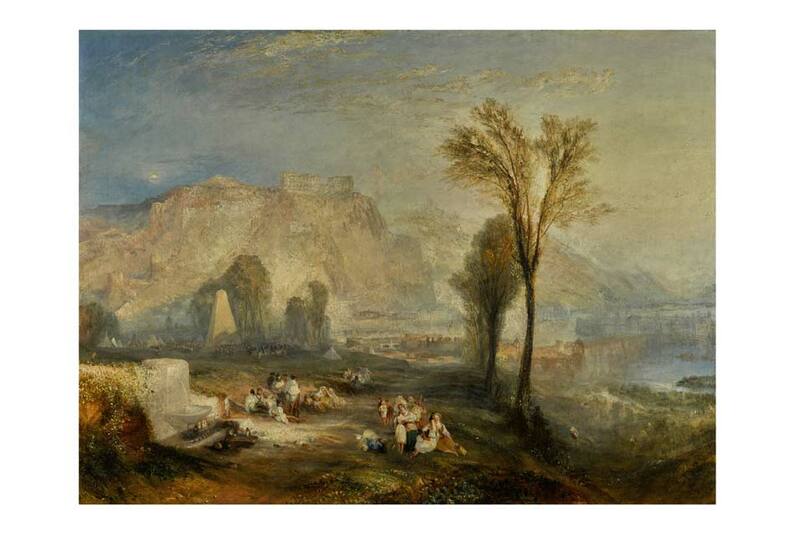 (Rome, from Mount Aventine, painted in the same year as Ehrenbreitstein and offered at Sotheby’s in 2014) made a record £30.3 million/ $47.6 million – the highest price ever achieved for any British-born artist at auction, and placing Turner alongside Rubens and Raphael as one of just three artists from the pre-Impressionist era to have achieved prices at this level. The area of the Rhine, and especially the fortress of Ehrenbreitstein, held particular resonance for Turner. He first visited the area in 1817 and would return many times over the years, producing countless drawings in his sketchbooks and numerous watercolours. This painting relates specifically to a series of sketches he produced during his third tour of Germany in 1833, when he travelled down the Rhine en route to Vienna and then Venice, via Salzburg. The painting was originally painted for the illustrious publisher John Pye, a close friend of Turner’s, as the basis for a large single plate engraving – one of the important select series of large prints by which the artist established his contemporary celebrity. Pye had anticipated the artist would produce a watercolour, along the lines of Turner’s previous Rhineland views. When it came to it, however, so engaged with the beauty and symbolic resonance of the subject was Turner that he felt he could only do justice to its scale and grandeur in oil, with all its depth of emotional power and complexity of diaphanous light. What he delivered to Pye was this magnificent 93cm x 123cm full Royal Academy exhibition oil painting. Turner’s unanticipated rendering caused Pye a good deal of frustration – working up an engraving from a painting of this size and complexity was not the easiest of tasks, taking some eleven years to complete, with a number of terse exchanges along the way. The arrangement, however, was always that the picture should be returned to Turner’s gallery on completion of the engraving, and it was here that it was seen and acquired by the man that would become one of Turner’s greatest patrons, Elhanan Bicknell. Bicknell may well have been introduced to Turner’s work by John Ruskin, a Herne Hill neighbour and a staunch advocate of Turner’s work. In the space of just two years, between 1841 and 1844, Bicknell acquired no fewer than seven large-scale masterpieces by Turner – the majority of which now hang in some of the world’s greatest museums, including Tate Britain, The Yale Centre for British Art, The Frick Collection, and The Metropolitan Museum in New York (see below for full details). On his death in 1863, Bicknell’s vast collection, including this painting, was dispersed at auction, generating huge excitement and achieving sensational prices. 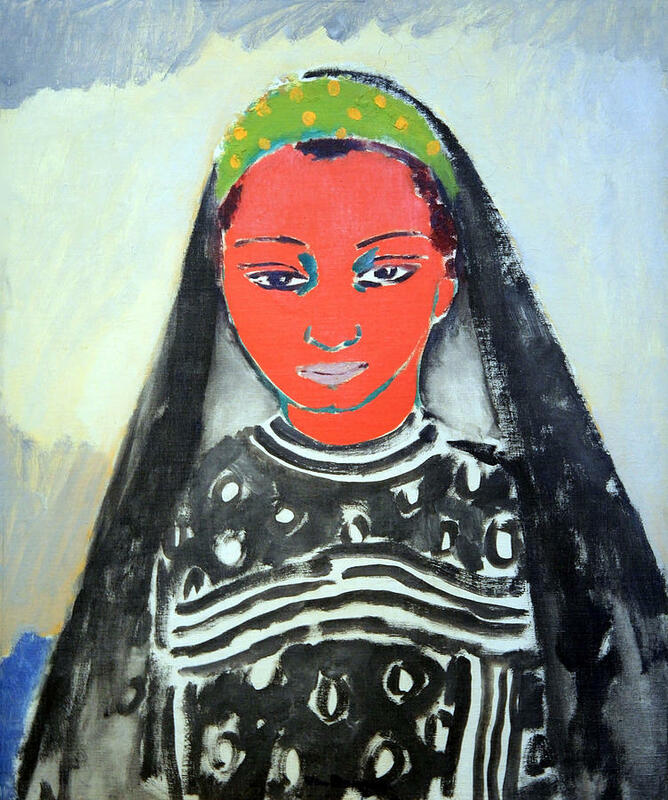 Since then the work has appeared only twice on the market, most recently in 1965, when it achieved a price of £88,000, setting a new world record for a work by the artist. 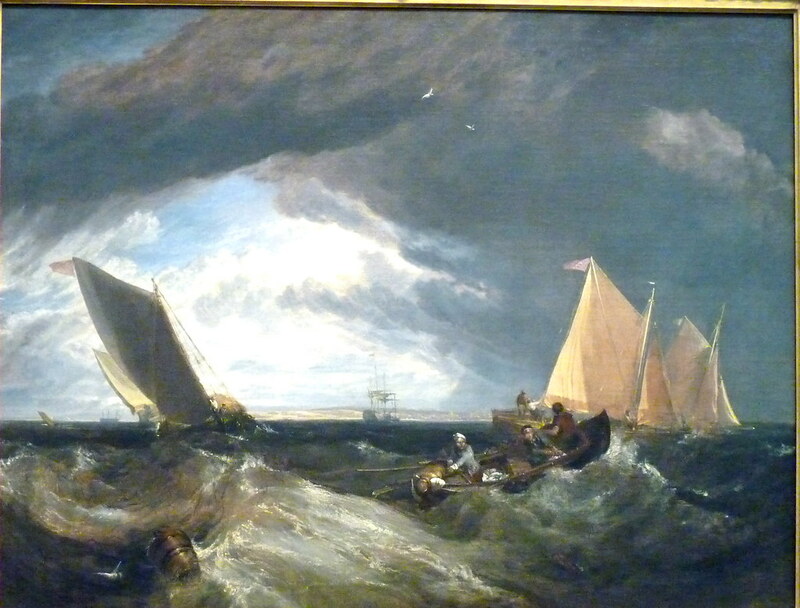 The mid-1830s saw the production of some of Turner’s most celebrated paintings. 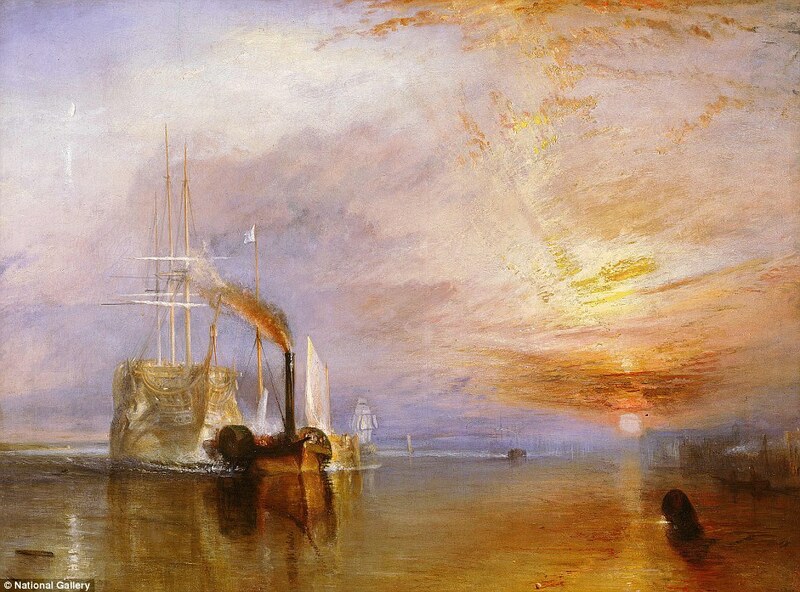 The Fighting Temeraire was shown at the Academy just four years later. and The Burning of the Houses of Lords and Commons (The Cleveland Museum of Art, Ohio). Of all five exhibits, however, it was Ehrenbreitstein that the public loved most, and that the critics judged the best. The correspondent for The Spectator called it ‘a splendid tribute of genius to one of the champions of freedom’, whilst The Times lauded ‘the force of colour and the admirable harmony of tone [which] are not to be equalled by any living artist’. More than just a landscape, Turner’s full title for the painting, Ehrenbreitstein, or The Bright Stone of Honour and the Tomb of Marceau, from Byron’s Childe Harold, reflects a passage from Canto III of Lord Byron’s epic poem, Childe Harold’s Pilgrimage – bringing together two of the most romantic figures of the nineteenth century. Turner shared Byron’s romantic sensibilities and had long held him in the greatest admiration. Also, both had lived through the tumult of the French Revolutionary wars, and both had a keen sense of the deep significance of the ensuing peace. In the poem Byron refers to the fortress of Ehrenbreitstein in the context of his own sense of melancholy and disillusionment in the aftermath of those wars. But for Turner it would seem that the fortress represents something more positive: that peace has vanquished war. The ancient fortress, almost dissolved in a hazy light, is now but a backdrop to the enduring everyday activities of the Rhine and Moselle valleys. Beneath the fortress can be seen the stone obelisk to the great French General François-Sévérine Marceau-Desgraviers. Having taking part in the sieges of Ehrenbreitstein in 1795 and 1796, Marceau was a French hero par excellence. At the same time, his courage and magnanimous nature won him the respect of even his greatest enemies. His funeral, just north of Coblenz, was attended by a delegation from the same Austrian army who had been responsible for his death. Like the fortress itself, Marceau has slipped into history but still represents the possibility of peace and unity in Europe. In Ehrenbreitstein, Turner has created an image that speaks in a profound way to both the eye and the mind – a duality that is at the heart of his unique artistic genius. A magnificent work by Joseph Mallord William Turner, The Temple of Jupiter Panellenius– is one of the most important oil paintings by the artist remaining in private hands (est. $12/16 million). The work has been in the private collection of prominent fineart dealer Richard L. Feigen for over twenty-five years, and was a highlight of the retrospective of the work of JMW Turner RA presented in 2008 by The Metropolitan Museum of Art in New York, The National Gallery of Art in Washington, D.C., and the Dallas Museum of Art. The Temple of Jupiter Panellenius is one of only three oil landscapes concerned with ancient Greece painted by Turner, and is one of less than twenty significant paintings by the artist still held in private hands. Sotheby’s offeried the artist’s lost masterpiece, Bamborough Castle, on Wednesday, December 5, 2007. Described by the Graphic Society in 1837 as “one of the finest watercolour-drawings in the world ”this major work looks set to generate huge excitement in the academic and collecting worlds alike. Itis expected to fetch in excess of £1.5 million. Dating from the mid 1830s, Turner’s Bamborough Castlehas spent most of its life to date in the possession of a distinguished private collection and, remarkably, it has not been seen on the open market since 1872 - some 135 years. In 1872 it wassold as part of the Joseph Gillott collection in London and realised £3,309, the highest price ever achieved for a watercolour at the time. The Earl of Dudley was the purchaser on this occasion but later - in about 1890 - the picture passed into the hands of one of the great American collecting families, that of the Vanderbilts. The Vanderbilt family played a significant role in the history of the United States; they built a shipping and railroad empire during the 19thcentury which made them one of the wealthiest families in the world. Since entering the collection of Mrs Cornelius Vanderbilt, the watercolour has passed down through successive generations of the family while the outside world has remained mystified as to its whereabouts. Listed as untraced in Andrew Wilton’s Catalogue of Turner Watercolours published in 1979, the work has not been seen in public since 1889. Perched on an outcrop on the very edge of the North Sea at Bamborough, Northumberland, Bamborough Castle is one of England’s finest castles. In his watercolour, Turner has chosen to show the castle from its north side, the angle which clearly portrays the height and presence of the castle’s impressive Norman walls. The formidable castle is serenely depicted as the one point of safety in themidst of a charged landscape. In the foreground, awoman and girl appear to cower from the large roiling waves while a ship struggles to reach the security of the land under the great storm clouds. In the 19thcentury the castle had a reputation for being one of the great places of refuge on the British coast during storms for sailors in distress. It actually had rooms within the walls that wereput aside for rescued sailors as well as a marine rescue party that constantly patrolled an eight-mile stretch of the coast north and south of the castle.Turner was a great admirer of such details and hecaptures the castle’s preparations with a rocket launched in the distance and people gathered at the waters-edge, ready to rescue the sailors who are rowing away from their vessel that has struck the massive rocks. The watercolour, which measures 505x705mm, relates to an earlier pencil drawing of the castle from 1797. The work has all of Turner’s signature elements; his energetic handling of colour which is often applied in rapid scratch-like strokes, or smeared into place with his fingertips, or scratched away with the tip of a brush to reveal the paper beneath. Henry Wemyss, Head of British Watercolours at Sotheby’s, comments: “This watercolour fully demonstrates the genius of Turner and it’s a real treat to have the privilege of bringing it to sale. Its recent re-discovery after more than a century away from the public eye, alongside its dramatic and powerful British subject, result in an incredibly rare and special work of art. The market in 1872 made it not only the most valuable watercolour, but more expensive than many Turner oils. I think the Graphic Society got it right in 1837 when they described it as ‘one of the finest watercolour-drawingsin the world.’” Research on the painting is still in progress, but it is possible that the work may shed new light on Turner’s working practices. It seems, for instance, that here Turner has backed the sheet of paper with two further laminated sheets – no doubt to strengthen the paper but also, possibly to intensify the colours he used. The Blue Rigi fetched £5.8 million in London. Joseph Mallord William Turner R.A. Given in memory of Governor Alvan T. Fuller by The Fuller Foundation, Inc. 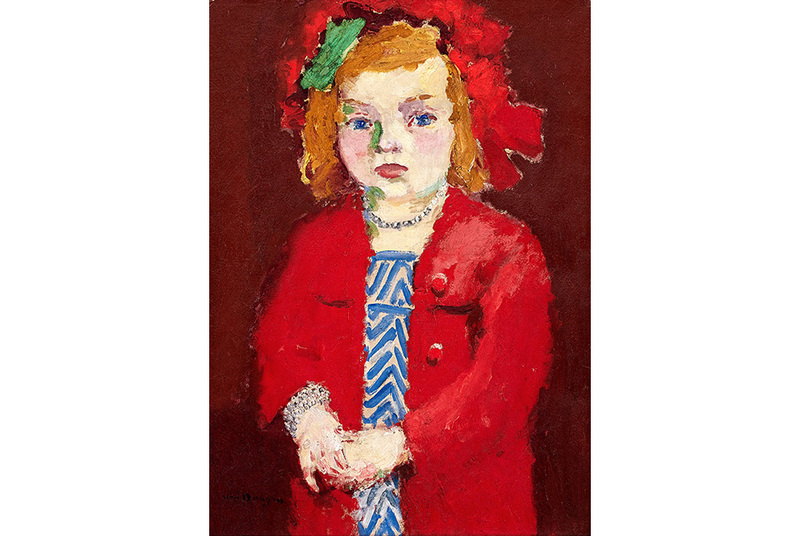 The evening sale featured fifteen works from an important European collection highlighted by a spectacular offering of works by Kees van Dongen. 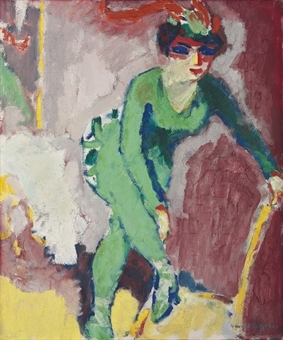 The artist’s Femme à la Cigarette, was painted circa 1905-08 (est. 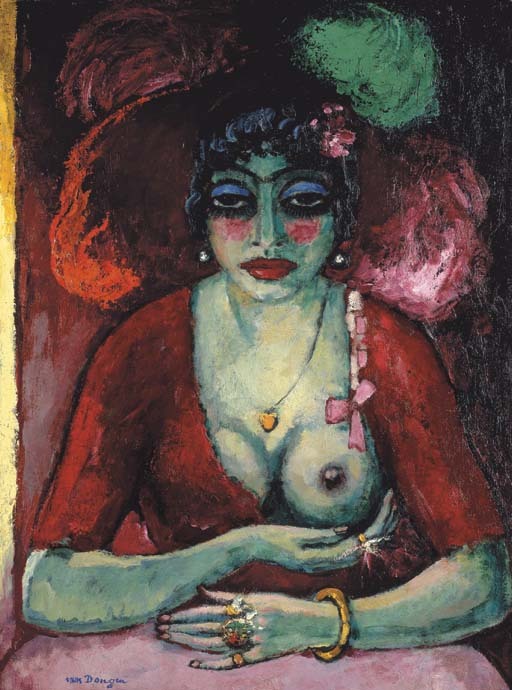 $4/6 million) and is a steamy portrait of a bare-shouldered woman which dates from the height of van Dongen’s involvement with the Fauves. 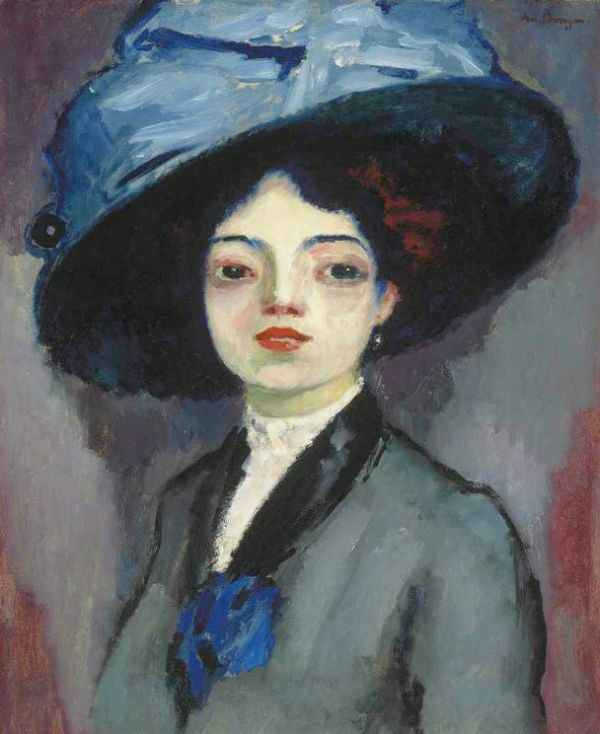 Also by van Dongen is Femme au grand chapeau which was painted circa1912 ($3.5/4.5 million, £1.7/2.2 million). 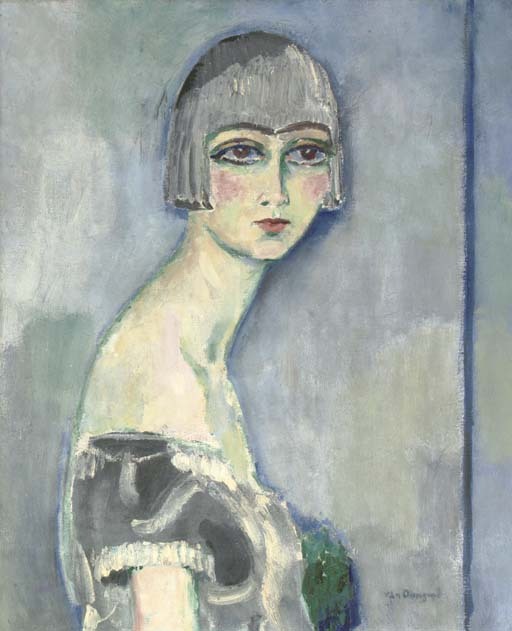 The young woman depicted in this canvas is a prime example of the type of portraits demanded by van Dongen’s elite clientele, who clamored to sit for the artist in the years leading up to World War I. By the Roaring Twenties, these elegant portraits became some of the most coveted status symbols among the grand dames of Paris. 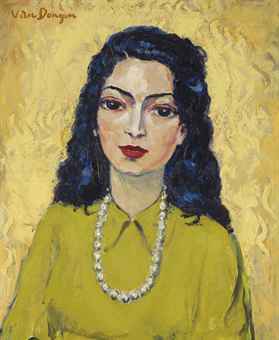 Amongst the highlights is an arresting portrait by renowned Dutch artist, Kees Van Dongen, of his beloved daughter Dolly. Strauss & Co have estimated this museum quality work to fetch R3 500 000 – R4 500 000. 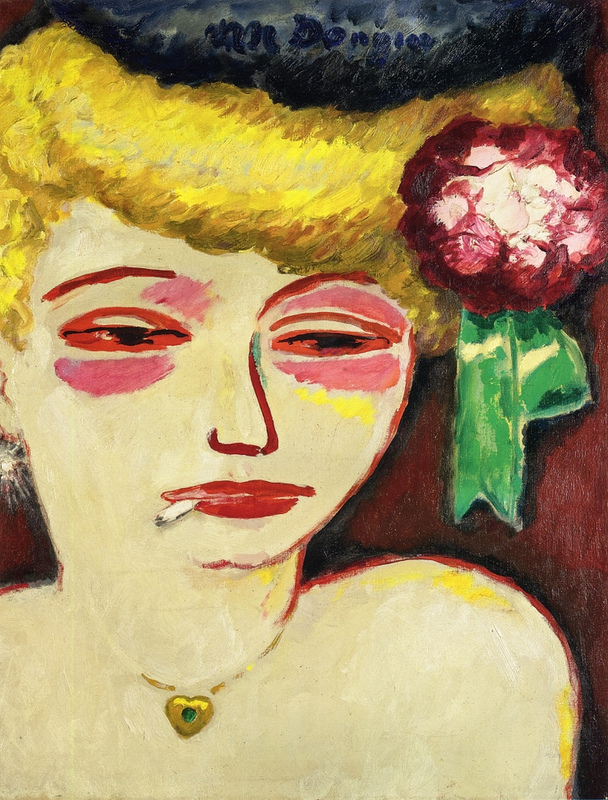 Van Dongen was a contemporary of Picasso, Matisse, and others who exhibited at the Salon d'Automne and were hailed as Les Fauves or the "wild beasts" for their use of bright colours and expressive painterly brushmarks. 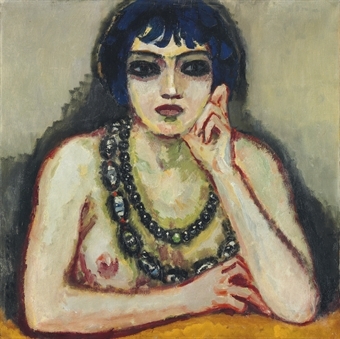 Painted in Paris in 1909, Dolly au collier d’argent, (Dolly with silver necklace) confirms Van Dongen's stature as one of the leading avant-garde artists of the 20th century. At the heart of the composition is the quiet intensity of the child’s bright blue eyes set against her fine complexion so lovingly rendered by her adoring father, while sparkling jewels at her neck and wrist draw attention to the focal points of face and hands. 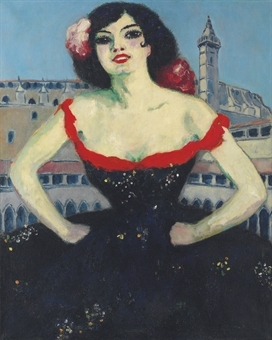 Van Dongen painted many portraits of the beau monde in Paris, earning a reputation as chronicler of the period. In their diversity, his portraits managed to give a characteristic, in some cases deliberately stereotyped, depiction of his contemporaries that lent them also a documentary value. With a playful cynicism he remarked of his popularity as a portraitist with high society women, "the essential thing is to elongate the women and especially to make them slim. After that it just remains to enlarge their jewels. They are ravished." This remark is reminiscent of another of his sayings: "Painting is the most beautiful of lies". 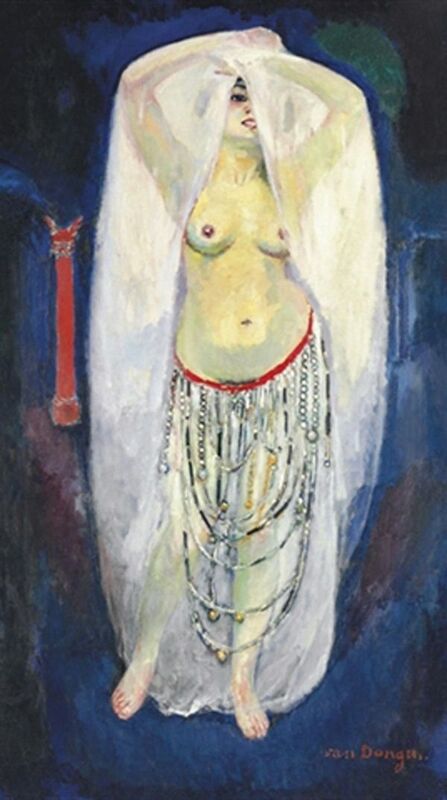 Anita en almée by Kees van Dongen (1877-1968), painted in 1908, is a highly charged, sensuous celebration of the Parisian demi-monde in the first decade of the 20th century, with echoes of French Orientalist painting (estimate: £4-7 million). 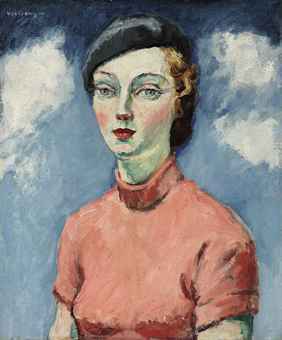 The artist’s subjects in the years before the First World War confront, provoke, titillate and lure the viewer into their space. 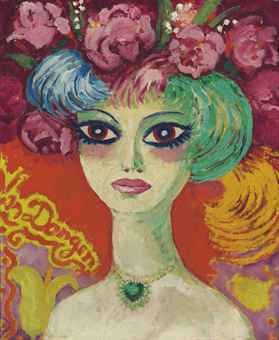 No other modern painter in Paris at the time made his pictures as heatedly and blatantly sexual as Van Dongen, who executed his sensational subjects in a riot of violent colours. 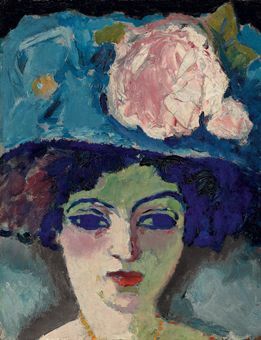 A self-taught artist, Van Dongen independently arrived at Fauvism in 1905. 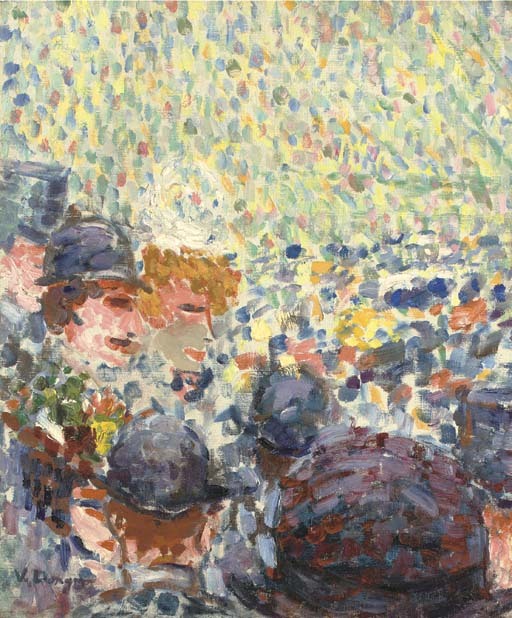 He stirred up a volatile mixture of strident colour and vigorously rendered painterly forms and unlike other painters of the Fauve circle, he unabashedly indulged his taste for the demi-monde of Montmartre. 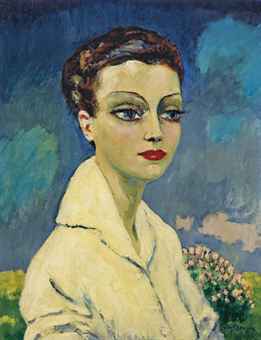 KEES VAN DONGEN | 1877 – 1968. 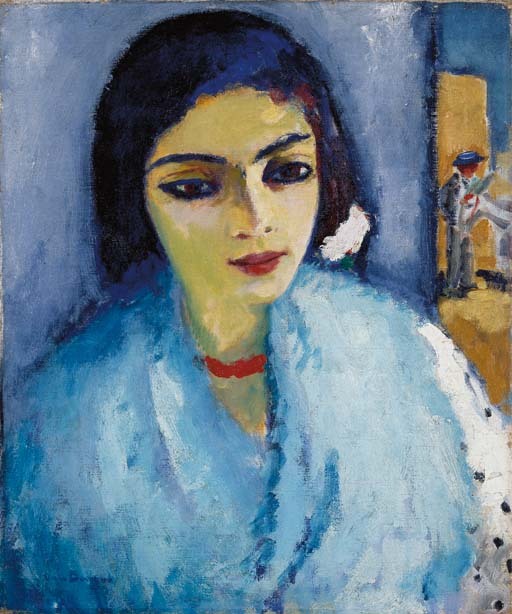 Born in Holland, van Dongen was a member of the Fauve movement that flourished in Paris from 1905 to about 1909, and included Matisse and Vlaminck. 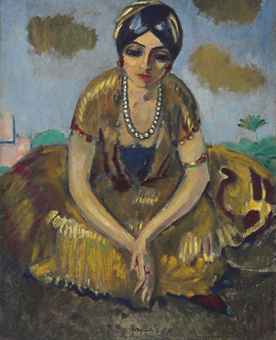 The Fauves used vivid colours to express feelings and emotions, and the effect was shocking for their contemporaries. 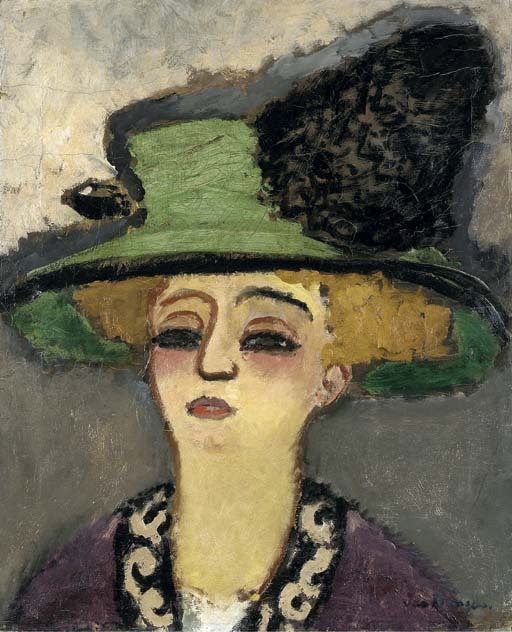 Van Dongen, inspired by the example of Toulouse-Lautrec, painted the nightlife of Montmartre and other similar areas of Paris, and Stella is probably a 'demi-mondaine'. 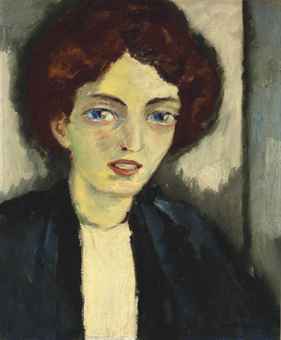 She is portrayed in the violent, dissonant colours that are the hallmark of the powerful fauve portraits of women executed by the artist between 1905 and 1910. 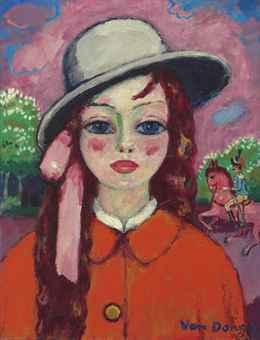 He uses the hot, unrealistic pinks and purples to express the woman's personality and convey her seductive charm. These are balanced by the cool greens used to shade the neck and arm. 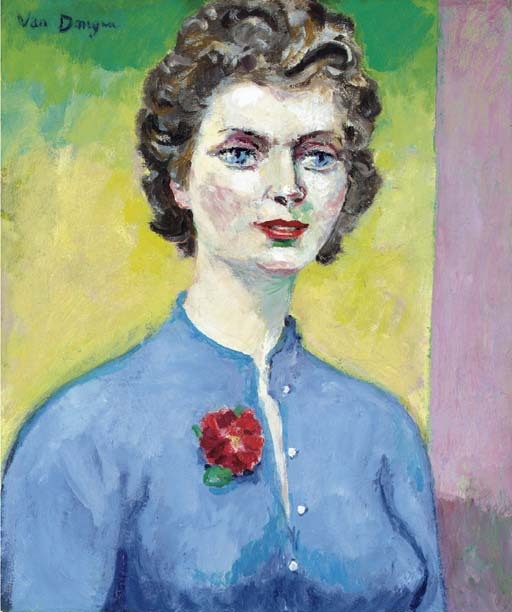 Forms are flattened and simplified, and yet van Dongen seeks to create volume, and van Dongen seeks to create volume, and to raise Stella in relief from the picture surface, by adding a bold outline (along the right side) reinforced by the heavy yellow hatchings which follows the contour of her head and shoulders. OLD - Kees (Cornelis) van Dongen was born in the village of Delfshaven near Rotterdam, where his father owned two small factories that dried grain and spices from Indonesia. He lived in Paris from 1897 and became a French citizen in 1929. "Souvenir of the Russian Opera Season" portrays a scene from "Cléopâtre", performed to critical acclaim by Sergei Diaghilev's Ballet Russes in Paris in June 1909. 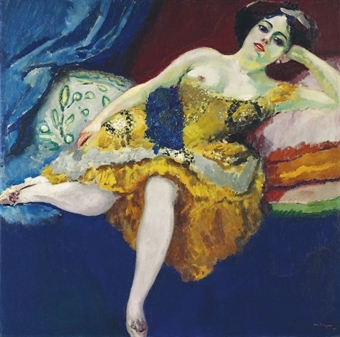 The reclining figure is Ida Rubenstein in the title role, while the dancer with outstretched arms is the celebrated Anna Pavlova, who holds one of the coloured veils unwrapped from Cleopatra's body just prior to her seduction of a Prince.